We’re famous for boating, but the aviation industry has a long history in South Florida. Today our region continues to keep planes and jets ready for flight for commercial airlines and private jet owners not only in South Florida but around the world. 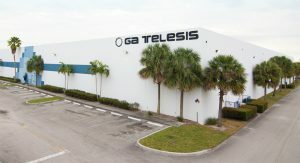 GA Telesis is tucked away just west of Interstate 95, alongside Fort Lauderdale Executive Airport, where the company has its headquarters and a 100,000-square-foot warehouse stocked with aircraft parts. “A lot of times, until people come to our operation and see how big it is, they just don’t realize how big a company we are,” president, CEO and co-founder Abdol Moabery says of a company that maintains, repairs, overhauls and distributes aircraft parts around the world with a far-flung network of locations from Helsinki to Istanbul to Beijing. 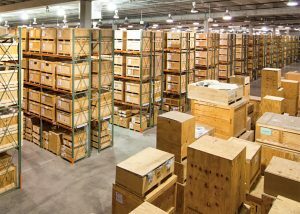 Among other items in inventory at the company’s Fort Lauderdale warehouse, “we probably have a dozen jet engines sitting here that are waiting for airlines that might need them, spare engines for when they have an airplane breakdown,” Moabery says. Half of GA Telesis’ 500 employees work in Fort Lauderdale. GA Telesis has 250 of its 500 employees stationed in Fort Lauderdale, including skilled mechanics making up to $50 an hour. The company’s major customers in North America are American Airlines, Delta Air Lines, United Airlines, JetBlue, FedEx and UPS. Moabery says the company’s revenues have been rising about 30 percent a year, thanks in part to business acquisitions. “We will hit about $400 million this year,” he says. In 2015, Florida ranked as the best state for aerospace companies, according to a survey by professional services firm PricewaterhouseCoopers. It was the second consecutive year the state was ranked first. 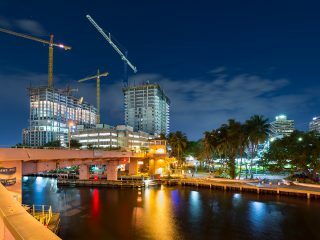 Taxes, operating costs and educational institutions were among the factors that sustained the top PwC ranking for Florida. But in South Florida, human capital is arguably the most important asset of the aerospace industry. South Florida’s deep pool of aerospace talent is a legacy of the area’s history as an aviation hub and the former home of the old Pan Am and Eastern airlines. Those airlines are long gone, but they left behind a large work force skilled in aircraft maintenance, repair and overhaul. The industry here looks differen from the industry in other, more well-known aerospace hubs such as Seattle. 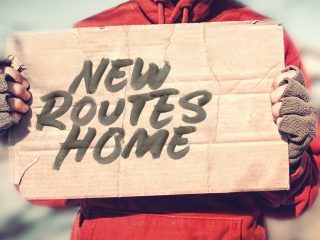 “This area is not necessarily going to get an Airbus manufacturing facility or Boeing or something like that,” says David Coddington, vice president of business development of the Greater FortLauderdale Alliance. “That’s not the niche where we’re strong. We’re very strong on the maintenance and repair side. South Florida’s sunny weather gives the area an advantage in attracting aerospace companies and other types. So does the area’s location in the eastern time zone. 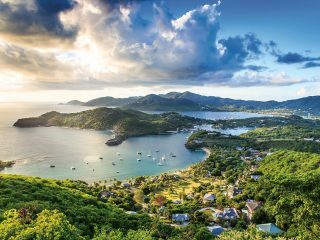 “In the same eight-hour workday, you can talk to customers on four continents,” Coddington says. 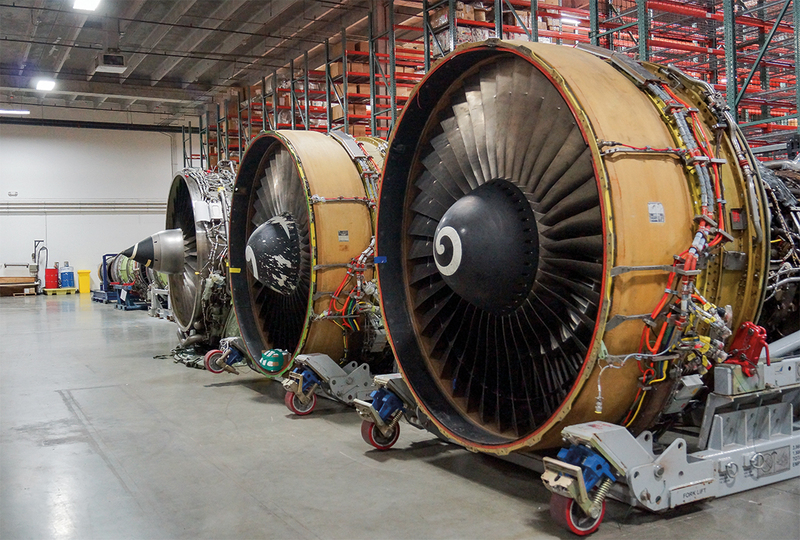 CTS Jet Engines, for example, is one of the Broward companies doing that type of work, known in the aerospace industry as “MRO” – maintenance, repair and overhaul. Like many of Broward’s obscure aerospace companies, CTS is hardly a landmark at its location, south of downtown Fort Lauderdale along West State Road 84, an area best-known for Lester’s Diner. There is ample aerospace talent to pull from both north and south of the Broward line. The Business Development Board, the economic development agency of Palm Beach County, reports that the county has 639 businesses in aviation, aerospace and engineering, with more than 20,000 employees. Prominent among those businesses is B/E Aerospace, the world’s largest manufacturer of seats and other passenger-cabin interior products for jet aircraft. Sikorsky Aircraft Corporation manufactures the U.S. Army’s UH-60M BlackHawk helicopter Bee Line Highway in Jupiter. Pratt & Whitney manufactures jet engines at a West Palm Beach plant that opened in June 2014. Lockheed Martin also has a presence in Palm Beach County. The Beacon Council, the economic development agency of Miami-Dade County, reports that the county’s aviation industry spans 466 companies with 21,563 employees making $71,740 a year on average. The county’s top employers in the aviation sector include such companies as AAR Aircraft Maintenance, Boeing Flight Services and the Airbus Americas Training Center. 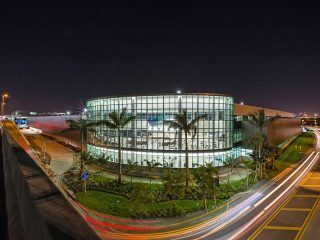 Among cities nationwide, Miami has one of the largest clusters of FAA-approved flight simulators for pilot training. 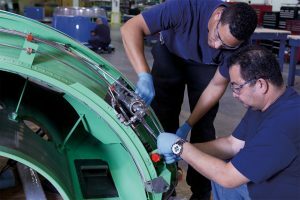 Pilot training extends to the collegiate level in Broward, where Broward College has degree programs for students who want to become aircraft maintenance specialists or certified pilots. People trained to fly often find ancillary work in aircraft component distribution or maintenance because they have “an extreme amount of knowledge about airplanes,” says Moabery, the CEO of GA Telesis. 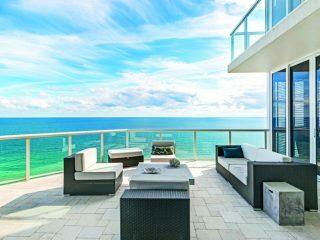 Moabery, a graduate of Florida Atlantic University, says his company recruits from an array of higher education institutions including Broward College, FAU, Nova Southeastern University and the Fort Lauderdale campus of Embry-Riddle Aeronautical University, which is based in Daytona Beach. 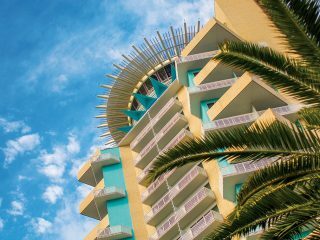 Mario Catalano, co-owner of 1st Choice Aerospace in Miramar, agrees that the city’s attractions include its central location in South Florida. His company specializes in repairs of such aircraft components as pneumatics, crew seats and fuel systems. 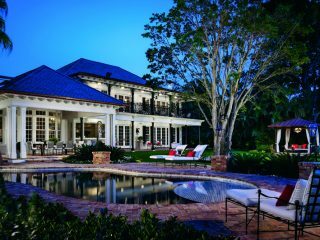 Some of the owners of 1st Choice have a similar business in Kentucky, but they chose in 2014 to launch 1st Choice in South Florida. 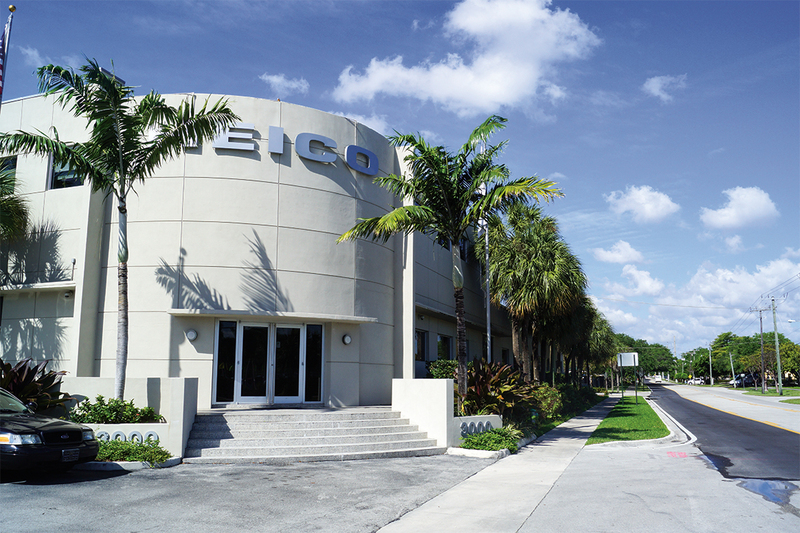 Any aerospace company in Broward would be fortunate to grow to the size of Hollywood-based Heico. 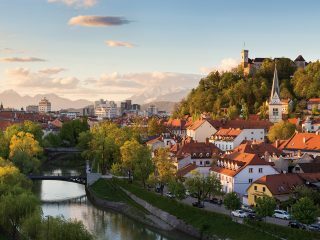 Publicly held Heico rang up net sales of $1.18 billion in its last fiscal year, the third consecutive year that net sales topped $1 billion. The company’s flight support group and electronic technologies group supply airlines around the world from Heico locations throughout the United States and in 10 foreign countries: Canada, China, France, India, Laos, Korea, Netherlands, Singapore, Thailand and the United Kingdom. A couple of aerospace entrepreneurs in Broward have joined the Heico family since the late 2000s. The founders of Blue Aerospace in Sunrise and Sunshine Aviation in Miramar sold their businesses to Heico and continue to run them under their original names. A Heico business unit since 2008, Sunshine Aviation repairs and overhauls avionic sub-systems for aircraft including total collision avoidance systems, which help pilots avoid mid-air collisions. Blue Aerospace, part of Heico since 2010, distributes parts for military planes, including F-16 fighter jets and C-130 freighter aircraft, owned by foreign governments allied with the United States – “the kinds of planes that started out in the U.S. fleet and then, over time, became more prevalent in foreign fleets,” Mendelson says.